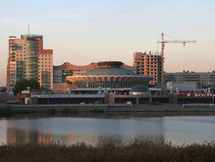 Yekaterinburg Circus is a circus building for 2600 spectators in Yekaterinburg. 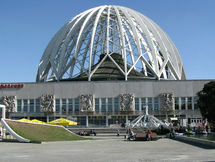 Yeaterinburg circus has a lattice steel dome with a distinctive shape, which makes one of the Yekaterinburg's landmarks. The circus was built in 1980 on the right bank of Iset river. 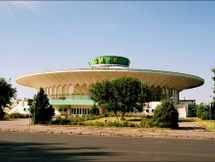 The Bishkek Circus was constructed by L. Segal, V. Shardrin, A. Nezhurin and D. Leontovich in 1976. The circus was a popular form of entertainment for kids in former Soviet Union countries. The Bishkek Circus still serves as a circus today. 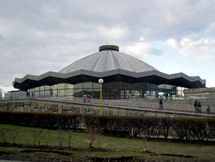 In 1976 this new building for the Tashgostsirk, the Tashkent Circus, was built by G. Aleksandrovich, S. Berkovich, Y. Kozel and R. Muftakov. In 1999 the building was entirely renovated. The Great Moscow State Circus (Russian: Большой Московский государственный цирк на проспекте Вернадского) is an auditorium in Moscow located at the Vernadsky Prospekt. It was opened 30 April 1971. It was constructed by Y. Belopol'sky, Y. Vulykh and S. Feoktistov. It can seat up to 3,400 people.. 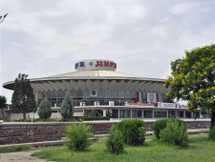 The Dushanbe Circus was built in the same year 1976 as the Bishkek circus and shows very similar elements. This circus was constructed from G. Aizkovich, T. Volvak and E. Erzovskii. The circus was constructed in 1980 by P. Nirinberg and S. Zubarev. In a day time the circus looks like a simple tent and in the evening the tent is illuminated by a backlight. 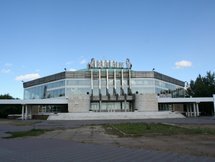 The Dnepropetrovsk Circus is the only circus in Ukraine that has a rehearsing-staging arena. 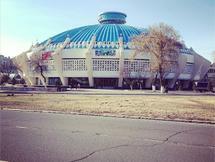 The Sochi Circus is located at Pushkin and Kurortny avenues, nearby the famous Sochi Arboretum (Dendrarium). 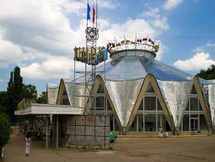 The Chelyabinsk Circus is a circus still in use and is located in the capital of the Chelyabinsk Oblast, the Urals Federal District in Russia. The typical circus structure of this building is a dome construction. 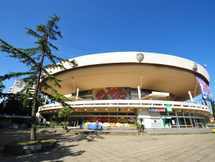 This small circus is located in the city of Kislovodsk in the region of Stavropol in Russia. 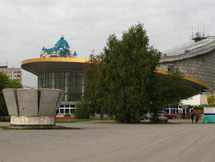 The Perm State Circus was opened in August 1970 and was constructed by the architect M. Futlika. 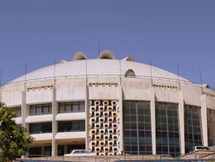 The auditorium is 18 meters height and was designed for 2247 people. In the backstage, there are facilities for animals and the hotel "Sputnik", which is reserved for the artists. The circus is still.. 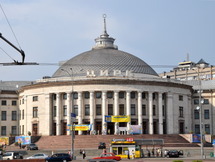 In 1868, the Frenchman Auguste Bergognie bought land in downtown Kiev and asked the town council for permission to build a circus building out of stone. The opening of "Circus Bergognie" took place in 1875. 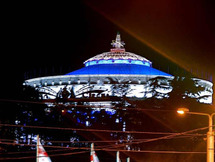 The modern building of the National Circus of Ukraine with 2100 seats, was opened in.. 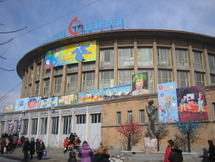 The Yerevan Circus was built in 1962. During a period of two years, the Yerevan Circus will be closed for a total renovation and reconstruction work. The plan is to renovate the circus building, to install modern ventilation and heating systems and to build a separate housing for the.. The Tbilisi Circus was constructed in the Stalinist style and is located at the Heroes Square. The circus is the home of the Georgian State Circus. 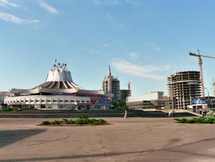 The Novosibirsk Circus is one of the most interesting buildings in the city of Novosibirsk in the Siberian Federal District and is located at Galuchaka Street. The edge of the roof is faded yellow gold.